CÎROC’s bold collaboration with Italian fashion house Moschino is finally making its highly anticipated arrival in South Africa. 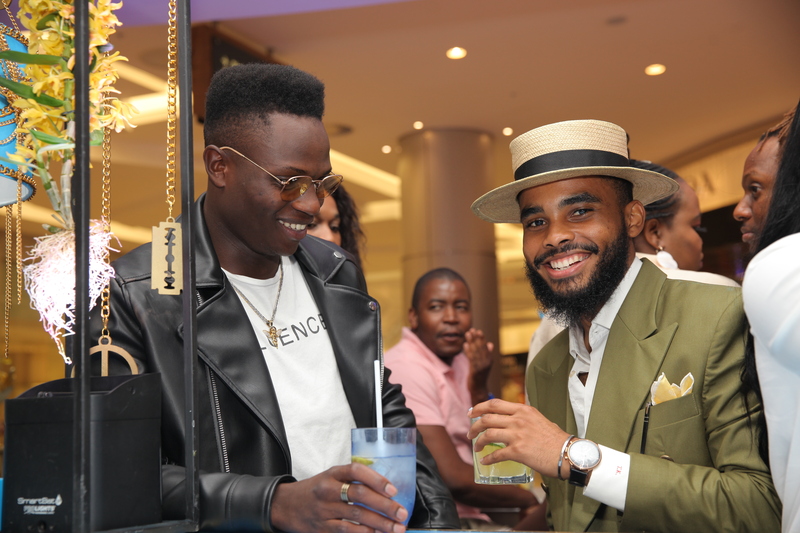 To officially celebrate the traffic-stopping partnership, CÎROC hosted a private media soirée at the Diamond Walk’s lush Arque Bar where the elite fashion industry insiders were introduced to the brand’s new and exciting cultural collaboration. The launch took guests on a journey to Los Angeles where the campaign was shot, before crossing over to the Milan runways, where global campaign influencers including Jasmine Sanders, Wizkid, River Viiperi, Thando Thabethe, and Cassper Nyovest took the front row to experience the Moschino magic, under the leadership of campaign lead influencer, Jeremy Scott. Hosted by CÎROC Brand Ambassador, Thando Thabethe, the launch saw guests receive a first-hand experience of the distinctively playful campaign, with Cassper and Thando taking to the stage to share their experiences. CÎROC visually brought the campaign to life with features such as the dramatized chained photo booth, personalized cocktails inspired by the talent and the CÎROC x Moschino swing. The CÎROC Pop-Up experience coincided with the kick-start of fashion season in South Africa, an occasion that draws a myriad of Joburg’s top fashionistas, who enjoyed personalized CÎROC cocktails for the duration of the three-day Pop-Up bar. In attendance were renowned celebrities such as Cassper Nyovest, Thando Thabethe, Nadia Nakai, Kamo Modisakeng, Major League DJ’s, Nina Hastie, Trevor Stuurman, Quiteria Kekana, and fashion influencers; Melody Molale, Lerato Kgamanyane, Tshepi Vundla, Siyanda Dzenga, and to mention but a few.